Cases, cases and more cases. Seems like we have already covered a ton of Galaxy S3 cases over the last few weeks, but there are always more to show you (and giveaway). Today, we have two new ones from Spigen SGP, the Neo Hybrid and the Illuzion. One is a two piece standard back cover case, while the other is similar to flip cases, but with a snap and a really good fit and feel. 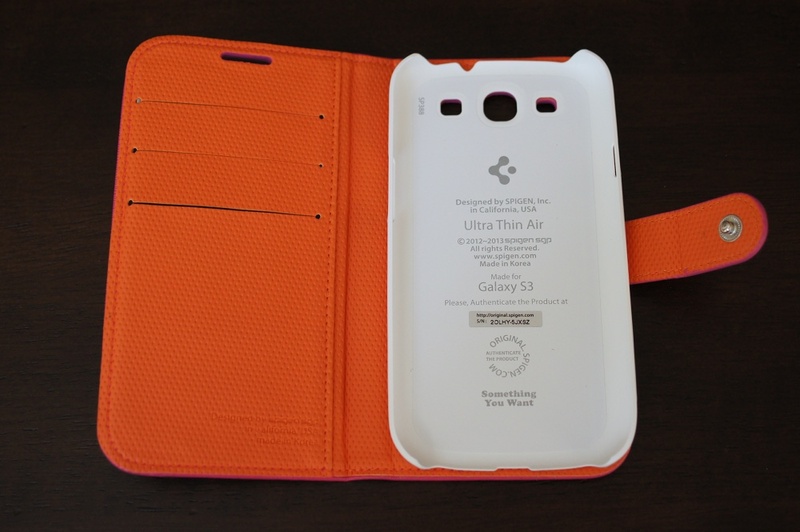 The Neo Hybrid Galaxy S3 case is a two part case, TPU and polycarbonate, that when applied fits extra tight onto a device. 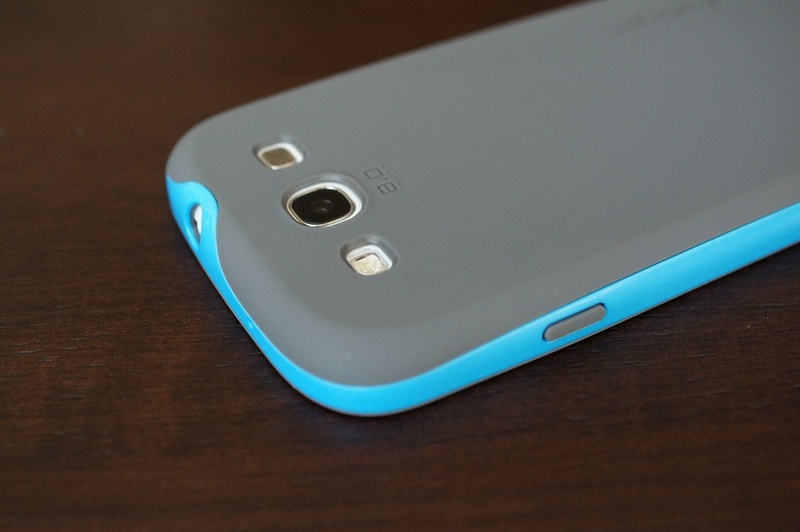 The first application is the softer TPU backing that is then locked into place by the outer polycarbonate frame. In the pictures I have posted, the grey part would be the soft TPU piece, with the “Sparkling” blue being the frame. The case itself was a little finicky to put together on the device, but once I did, it held the phone well. All ports are exposed, plus you have coverings for your lock and volume switches. There are 8 color options: Sparkling Blue (pictured), Dazzling Orange, Shining Grass, Lightning Yellow, Infinity White, Jade Blue, Rubine Red, and Reventon Yellow. The last four are only available for pre-order, however, we have the Infinity White case to giveaway today. The bonus here is that Spigen has tossed in one of their Ultra Nano Clear screen protectors. So while the $26.99 price tag may seem a bit high, you do get the $14 screen protector in the package. I wouldn’t call this my favorite case ever, but if you need a soft feel, protection, a snazzy colorway, and a screen protector, it’s not a bad option. 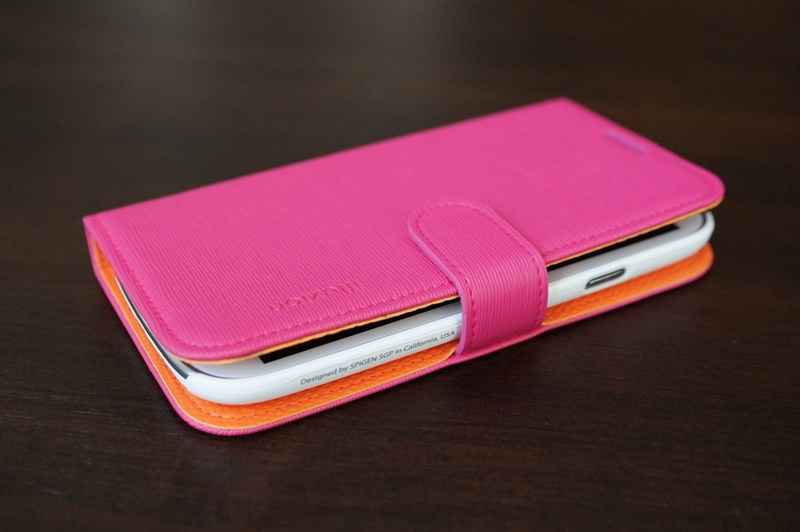 The Illuzion flip case is probably one of my favorite flip cases thus far. It’s faux leather, but it feels great in hand. The size of it compared to other flip cases feels optimal, it has a latch that actually snaps into place, and it holds up to 3 cards in its door. 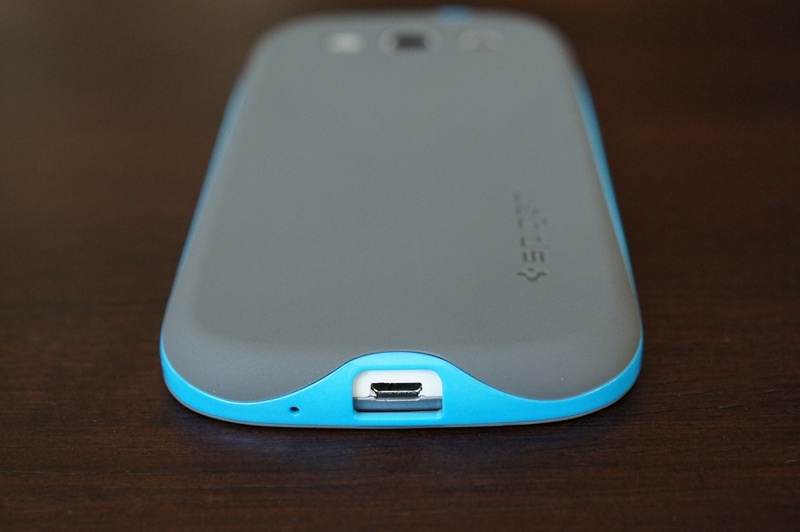 All ports are exposed, so you won’t have any issues charging or snapping pictures. 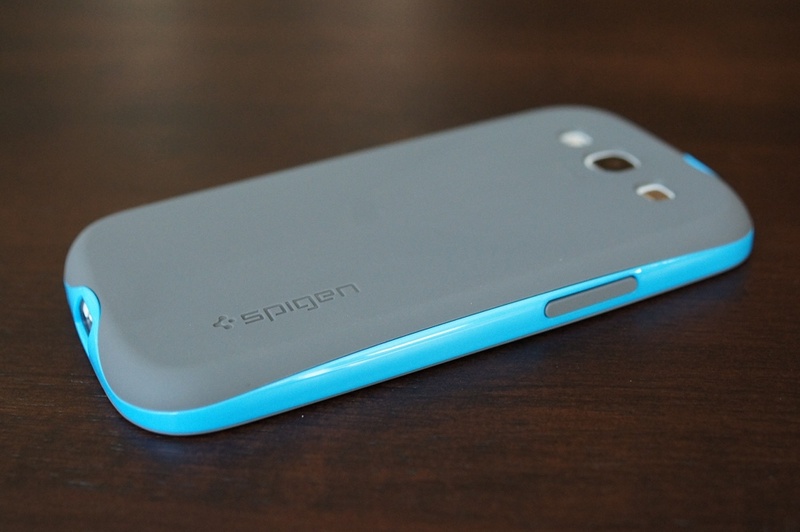 One of the coolest features is the way Spigen chose to have your device held in place. They actually used one of their Ultra Thin Air cases (which we’ll review later), so the device fits incredibly well and doesn’t feel like it’s sliding around – something we have experienced with other flip cases. 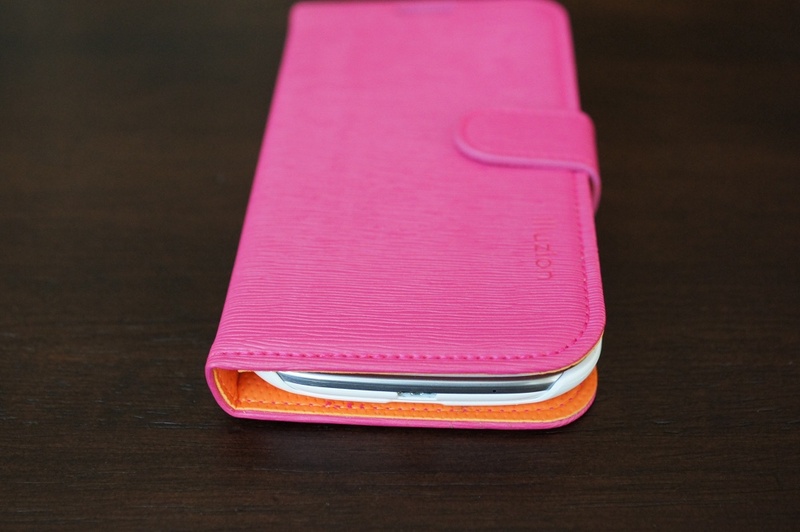 The Illuzion case comes in 4 colors: Mandarine Rosa (pictured), Golden Mocah, Lemon Indigo, and Mandarine Black. We have all four of these to give away today. At $32.99, the price is about where it should be. 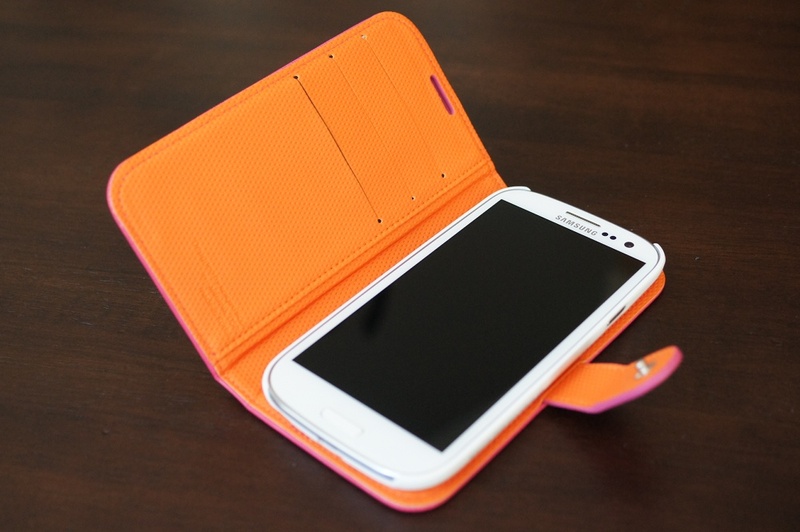 You are buying quality, a pretty color scheme, and an Ultra Thin Air case wrapped into one package. Update: We have picked our six winners. Go check your inbox! As always, after reviewing cases, we like to reward readers. 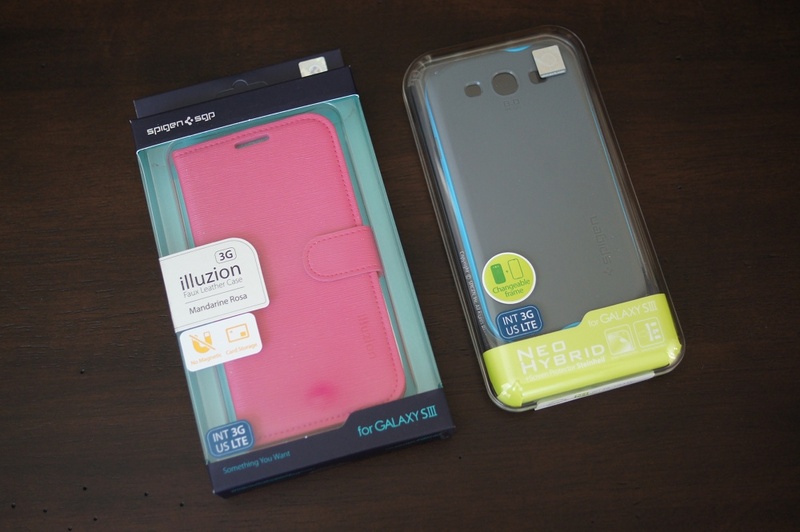 So today, we have two (2) Neo Hybrid cases and four (4) Illuzion cases to give away. Thanks to Samsung and their one Galaxy S3 size fits all approach to this year’s device of the year, these will fit your GS3 no matter what carrier it’s on. 1. 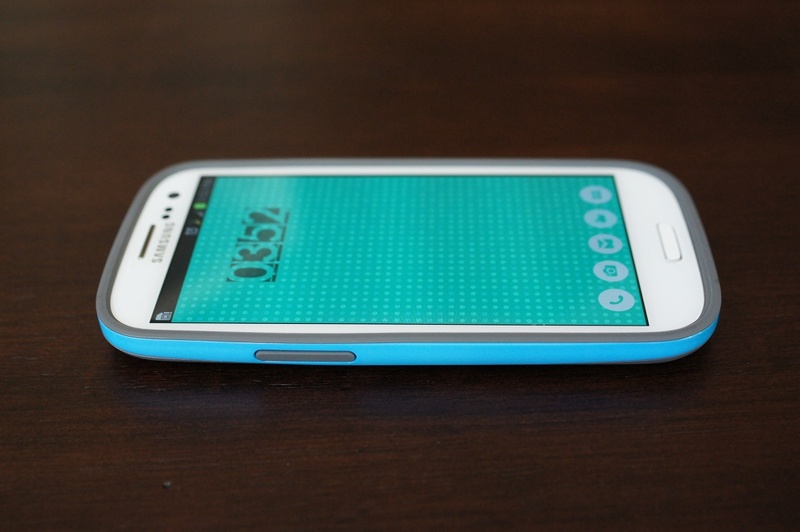 In the comments, tell us what the favorite feature of your Galaxy S3 is. Illuzion colors: Mandarine Rosa, Golden Mocah, Lemon Indigo, and Mandarine Black. 3. Tomorrow (8/2) at 12:00 Pacific, we will randomly choose winners from the comments.